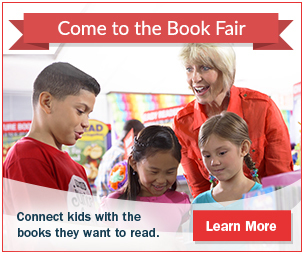 Visit the Scholastic Book Fair! Click on the image below for more details and fair hours! Please complete the Order form that was sent home and bring it to school on the 30th or you can go to http://www.GCIportraits.com to print an Order form or pre-pay online. Click HERE for Sneak-A-Peek Information sheet and required forms. Print packet. Complete forms. All grade levels, in order to receive locker assignment, bring completed forms to Sneak-A-Peek and turn in to HR teacher. Required forms will also be available in the gym at Sneak-A-Peek. Click here for all required summer assignments (summer reading, math packets, 8th social studies packet), and supply lists. Sneak a Peek is Tuesday, July 31. HTMS student course requests will be made available Friday, July, 20th via ParentVue. By logging into ParentVue and clicking Course Requests, you will able to see the courses in which your child is scheduled; this does not include Connections classes. This will not give you the teacher nor the order of the classes. If you do not have a ParentVue account, you will be able to register for one at Sneak A Peek. Please click here for a letter from Mrs. Montgomery regarding school safety. It is my privilege to welcome you on behalf of the Fine Arts teachers at Hightower Trail Middle School, to our Night of the Arts program scheduled for April 24th. It is always exciting to have the opportunity to showcase students’ work. Attached is a list of our planned events, which begin at 5:00 p.m. There will be performances by our chorus, orchestra and band students, and a featured art show of student work. Students’ artwork are frame and are $35, which will benefit the visual arts program. Help us in supporting the arts and we look forward to seeing you! As part of Hightower Trail’s Acts of Kindness Project, we are suggesting that students participate in completing a different act of kindness each day beginning on March 14th until Spring Break. Students will log their acts of kindness on the attached log and as they complete five acts, they will turn the sheet into the box that will be located in the atrium. For every journal of five acts each student completes they will be recognized on our Acts of Kindness Wall. Please encourage your student to participate in this project over the next 17 days. Click here for a list of acts of kindness. Please choose a different act each day and record the act on the attached journal. Monday, February 5 will be the first day that parents/guardians may be applying for school choice transfers. School/grade capacity numbers will be posted and the online application will be available on the District’s website. We will be continuing the practice of only accepting online applications. A kiosk will be set up in the lobby of 514 Glover Street in order to provide access to parents/guardians who may need it. see our 2018-19 School Choice webpage. Deadline for applying is Wednesday, February 28, 2018. Congratulations to our wonderful counseling department! Deirdre Walsh – counseling clerk, Jeni Norris – 7 th grade, Lara Salzman – 6 th grade, and Travis Schmid – 8 th grade. The RAMP designation, awarded for aligning with the criteria in the ASCA National Model, recognizes schools that are committed to delivering a comprehensive, datadriven school counseling program and an exemplary educational environment. This year 104 schools from 27 states will receive this designation. Congratulations!!! Art It Out Therapy Center counselors will discuss helping parents recognize anxiety in middle school children. They will focus on how to talk with children & teens who are anxious and will also teach parents critical coping strategies. The 2017 Husky Hustle is coming!!! Monday is “Matching Day” – Find a friend (or group) and dress alike! Tuesday is “Grade Level Colors Day” – 6th wear Blue, 7th wear Green, 8th wear Red or you may wear an appropriate costume. Please join us for an interactive discussion with Jeff Dess the coordinator of the Prevention Intervention Center of Cobb County Schools. Additionally, he is an author and inspirational speaker for young people and adults alike. He has been effectively working with kids, teens, and adults for over 25 years. Congratulations to Karen Strott, our 2017 – 2018 Teacher of the Year! Congratulations to Denis Oliver, our 2017 – 2018 Classified Employee of the Year! Fall Picture Day is Thursday, August 31st. Students will receive payment packets from their homeroom teacher a couple days prior to picture day. However, if you would like to purchase online in advance go to our website www.gciportraits.com. Click on the tab at the top to 'prepay for pictures'. The school code for Hightower Trail is HiTrlF17. The link to the 2017 Summer Reading Lists is located on the left side of the webpage. ALL students are required to complete the summer reading assignments which will be discussed in language arts classes at the beginning of the 2017-18 school year.